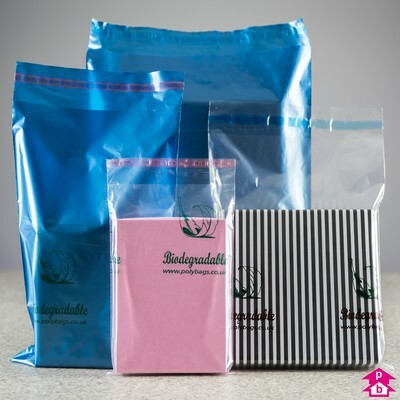 Biodegradble.ie is part of Polybags.co.uk - our parent website and the UK's largest manufacturer of polythene packaging products and eco-friendly alternatives. This website was established to offer Irish business customers a huge range of environmentally-friendly packaging products at zero rate VAT, providing a massive 23% saving on all purchases. 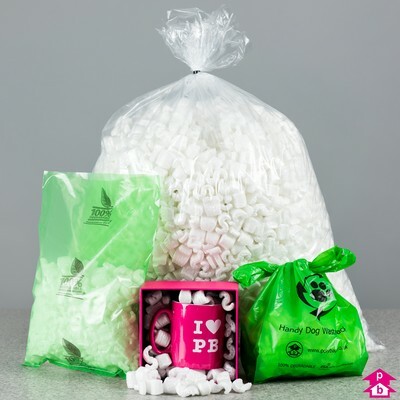 Polybags manufactures and stocks a huge range of eco-packaging, along with traditional polythene and polypropylene products. Most of our range can be custom-made and printed with your own logo or design to provide a personalised, professional product. 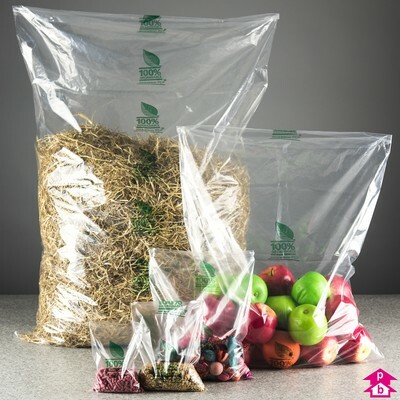 Biodegradable and compostable polythene packaging alternatives - from carrier bags to mailing bags and waste sacks to packing bags - allow people to get the job done whilst reducing the impact on the environment. 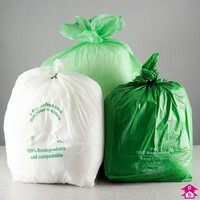 This massive range of bin bags caters for every waste disposal need. 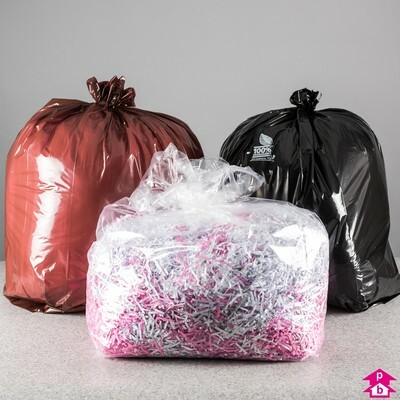 It includes traditional bin liners, black sacks, extra strong waste sacks and builders' rubble bags, plus printed recycling bags, specialist waste sacks and biodegradable refuse sacks. Strong, lightweight and waterproof alternatives to traditional paper envelopes and parcel packaging. Suitable for traditional post or courier transport, mailing bags are available in a range of styles to suit the product, or print your own design to really make an impression with customers. Retailers can improve their product presentation with this range of crystal-clear polypropylene bags that add sparkle to any product. Polypropylene is stronger, clearer and cheaper than cellophane, so is the perfect choice for retail displays. Plain polythene bags come in a huge range of sizes and thicknesses to serve a multitude of purposes, from storing small items to packing furniture, paintings or other large items in storage or transit. 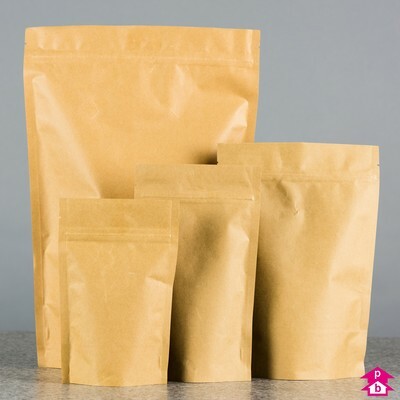 Resealable bags that open and close with either a squeeze-shut grip seal or a zip-style fastener that runs along the length of the bag opening. Handy for storing small- to medium-sized items and protecting them from dust, dirt or moisture. 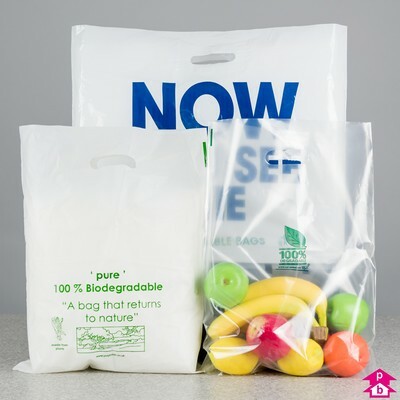 The world's most popular type of polythene bag and a must-have for retailers everywhere, the carrier bag provides a handy way for customers to transport their purchased products from the shop to their car, home or workplace. Polythene film, tubing and plastic sheeting sold on the roll caters for a huge range of tasks, from packing products of all shapes and sizes to protecting large surface areas and items of furniture from dust or debris during building, painting or decorating. Bubble-lined polythene film, commonly known as bubble wrap, provides air-cushioned protection for fragile or delicate items, whilst bubble bags are handy protective bags made from bubble wrap. These thin polythene covers, shaped to fit neatly over a coat hanger, are used to protect clothing in storage or transit, making them a popular choice with dry cleaners everywhere. Polybags stock a wide range of polythene products catering for very specific needs, from film-front display bags to vacuum pouch bags for food, plus a range of specialist waste sacks to help dispose of asbestos, clinical waste and a variety of recyclable products. A range of packaging accessories to cater for transporting or delivering a variety of products, including stretch wrap, packing tape, bag clips, sack ties, sealing machines, box labels, pallet strapping and much more.